Window Replacement in Michigan: Replacing Windows in Your MI Home? Windows are one of the home improvement components that can have a huge effect on how well the energy efficiency of your home is. Not only will windows that need replacing cost you more in energy costs but they can also bring the value of your home down. Learning what happens when a window needs to be replaced is key to putting in windows at the correct time and making the most of the investment. 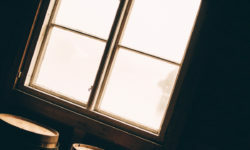 In this article I’ll talk about some things that you may see when you need to replace the windows in your Michigan home. Typically, the replacement window of choice no matter what is currently installed is vinyl windows. Vinyl windows are energy efficient and look great. In fact, vinyl windows can mimic the look of other window types such as wooden windows. When a window is difficult to open it’s likely also drafty. The seals in the sashes have likely became brittle and sticky causing the window to be difficult to open. There can also be broken springs and parts that cause it to be difficult to open. In rare cases the home foundation moves and causes the window to bind in a way that makes it difficult to open. This can also be caused by improperly installed windows. Does Your Windows Need Constant Maintenance? One of the biggest problems with wooden windows in Michigan is that they need constant maintenance. From scraping the old paint to painting the window can get really old really quickly. When you install vinyl windows you eliminate much of the maintenance that is required by wooden windows. There are also styles of vinyl windows that you can choose that look like wooden windows but don’t have the maintenance needs of wooden windows. How Does Your Windows Look? 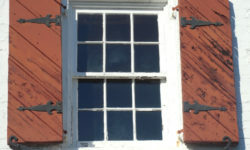 One factor that is always important when determining if you should replace your current windows or not is how they look. Does the window have cracks or is it discolored in some way. Chips and cracks may not seem like much in terms of structural use but it can have a huge effect on design. Bad windows that have problems like this can really bring the value of your home down dramatically. Don’t let one bad window cost you a lot of money if you’re attempting to sell your home. One of the biggest reasons to add new replacement windows in Michigan is to cut down on energy costs and to make the home much more energy efficient. Adding new windows can certainly do that if the windows in your home now are drafty and allow air from the exterior of the home on the inside. If you get a chill around a window in your home during the winter it’s likely that your windows are drafty and costing you money on energy costs. Get them checked by a certified windows contractor if you feel like this is the case. One of the biggest reasons to add new replacement windows in Michigan is to cut down on energy costs and to make the home much more energy efficient. 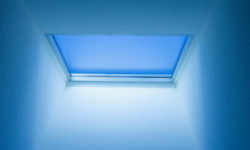 Another big problem with windows in a home is condensation that builds up between the two layers of glass in the window. This is known as the glass being ‘blown’ in the window. It means that the seal that holds pressure in the sash has failed and a new sash needs to be installed. If you have windows that have blown sashes they need to be replaced.